Louisiana requires corporations to have names that can’t be confused with the names of any existing entities, trade names or reserved names. Company Express will research your company name to make sure it meets Louisiana’s standards. Required documents: Articles of Incorporation as well as an Initial Report must be filed. Turnaround time: 10 -25 business days. 3-5 days expedited filings is available for an additional fee. Minimum number: Minimum one director is required. Corporations must also have a president, vice president, secretary and treasurer. Director qualifications: Louisiana requires directors to have a physical address (no post office boxes). 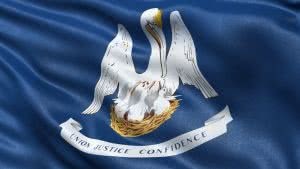 Louisiana requires that a corporation’s principal office be located inside the state. Local registered agent is also required. Time to file: Annual report must be filed on or before the day that marks the anniversary of incorporation. Louisiana requires Limited Liability Companies to have names that can’t be confused with the name of any existing entity, or any reserved or trade name. Company Express willl research your company name to make sure it meets Louisiana’s standards. Required documents: Articles of Organization and Initial Report must be filed. Turnaround time: About 10-25 business days. 3-5 business days expedited filing is available for an additional fee. Louisiana requires an LLC’s principal office be located inside the state. Local registered agent is also required. Time to file: Annual report must be filed on or before the date that marks the anniversary of formation.